Marissa's service learning assignment was at Dr. Jorge Alvarez High School. Two classes of student's grades 9-11 - One class of individuals with IEP, another with ESL students. 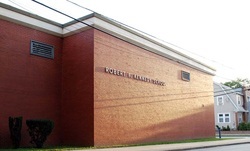 Kerri completed her service learning hours at Robert F. Kennedy Elementary School.